Lod Mayor Yair Revivo calls for unification of the small Right parties - the National Union, Jewish Home, and Otzma to prevent the loss of seats in the national camp. Revivo, a Likud member who recently received a proposal to chair Jewish Home, called on party leaders to overcome differences of opinion and unite to prevent the rise of a left-wing government and loss of seats in the national camp. "I join the initiative of Shomron Council head Yossi Dagan to unite the votes of the Right," Revivo said. "This week the Likud chose an excellent team, with the help of G-d we'll pass the threshold of 30 Knesset seats. Now we're open to see the right-wing parties Jewish Home, National Union, Otzma, Eli Yishai, and even Zehut - all of them must unite in order not to repeat what happened in '92. "Then I was a 17-year-old boy and I remember the weeping and the tears, how the right wing lost when Techiya and Rabbi Levinger consumed the votes in vain because they couldn't unite. It's time to unite all of us together. With the help of G-d we'll do everything so the right-wing government will continue," Revivo said. 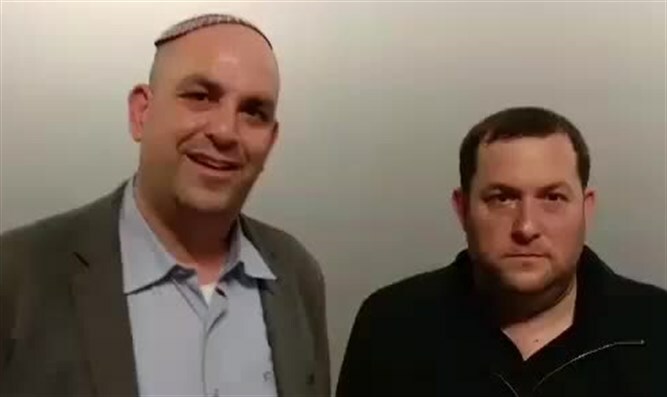 Shomron Regional Council head Yossi Dagan who is working to unite the small right-wing parties, called on religious Zionist rabbis last week to intervene and sit the heads of the parties together until they reach agreements between them. "From so many ideological extremes that almost no one can see them without a microscope, and from so many personal debates about one place or another, a situation like 1992 is likely to emerge. The Right has a majority, but we bury our heads in the sand and get Oslo." Dagan warns that a technical block must be built. "It'll be lamenting for generations if the Right now loses the government due to irrelevant ego disputes. The responsibility will be on those people who failed to drop everything in order to reach agreements to save at least 10 Knesset seats."